Welcome to Mountain Niche Web Services! We are a small web services firm specializing in ‘database-driven’ web site development using PHP and MySQL. We offer a range of services such as simple HTML page design, customized WordPress site development, and development and fully managed hosting of complex e-commerce sites. Use the navigation links above to view the pages of our site, or read our latest updates below. 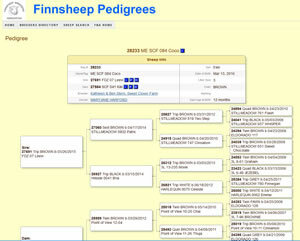 Overview: The Finnsheep Breeders Assocation provides record keeping for registrations and transfers of Finnsheep in the USA. The main website provides background information about Finnsheep and the FBA including the breed standard, FBA newsletters, and forms for membership and animal registration. The Online Pedigrees section of the website provides features to search or browse the list of members and registered animals along with pedigrees and progeny lists. 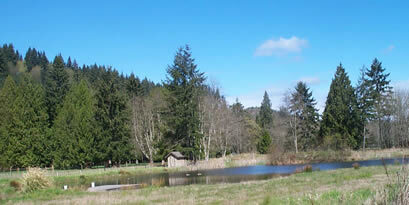 A Members Area provides online membership and animal registration forms with payment of fees using PayPal. The actual registry for the FBA is managed offline so the FBA Online Pedigree system uses a copy of the registry data that is updated regularly. Technology: The main section of this site uses the WordPress framework with a number of plugins and other customizations. The Online Pedigree section is provided through a fully-custom PHP/MySQL system. 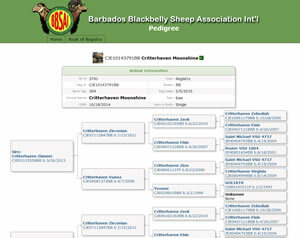 Overview: The BBSAI is the international registry for both Barbados Blackbelly sheep and American Blackbelly sheep. The main website provides information about the sheep and the association along with various forms for membership and registration. An online Book of Registry provides browsing and searching functions for the BBSAI breeders list and the registered animals list along with pedigrees and progeny lists. A Members Area offers additional features to BBSAI members including coefficient of inbreeding (COI) and online membership and registration forms with payment of fees through PayPal. An extensive Admin Area enables authorized representatives of BBSAI to administer the registry including member/breeder/owner records, animal records and ownership transfer records. The content of the main website is managed by the BBSAI webmaster using the WordPress Admin area. Technology: The main section of this site uses the WordPress framework with a number of plugins and other customizations. The online member and animal database section is provided through a fully-custom PHP/MySQL system. We’ve updated our website. The new site uses the WordPress framework. Please take a look at the pages of our site using the main navigation tabs, or search our posts using the links in the sidebar. Enjoy!